"You are never too old to set another goal or dream a new dream." —C. 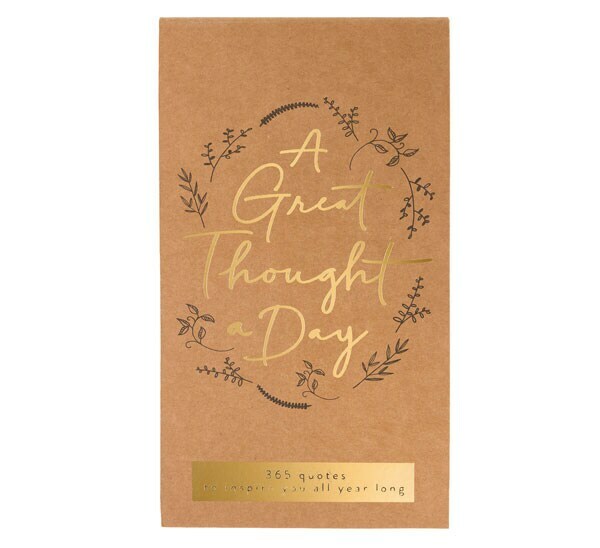 S. Lewis	Be inspired and stay organized with our charming Great Thought a Day Notepad. Featuring quotes from luminaries such as C. S. Lewis, Aristotle, Ralph Waldo Emerson, Eleanor Roosevelt, Mark Twain, William Shakespeare, and Martin Luther King, Jr., this lovely 8"x4½"x1½" pad includes 365 lined tear-out pages (each with a quote at the bottom) for list-making and note-taking, with a pretty gilded cover to add just the right touch of style to any office or kitchen.